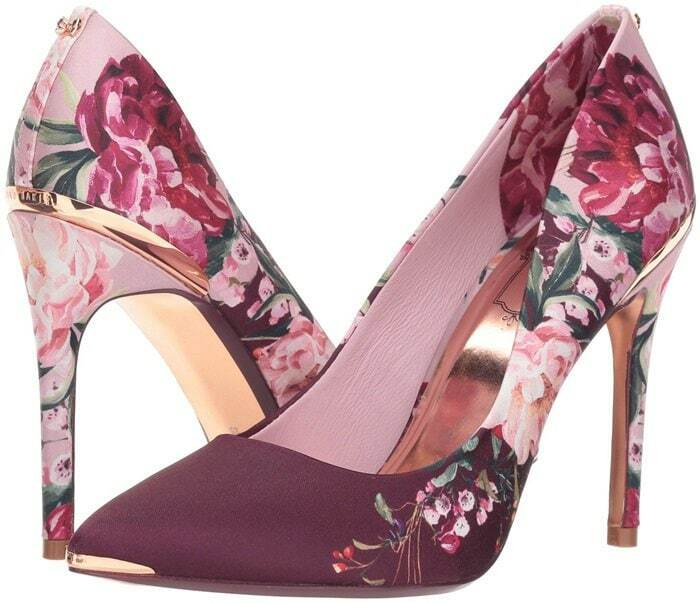 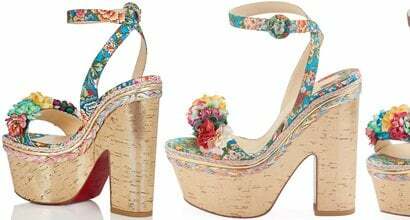 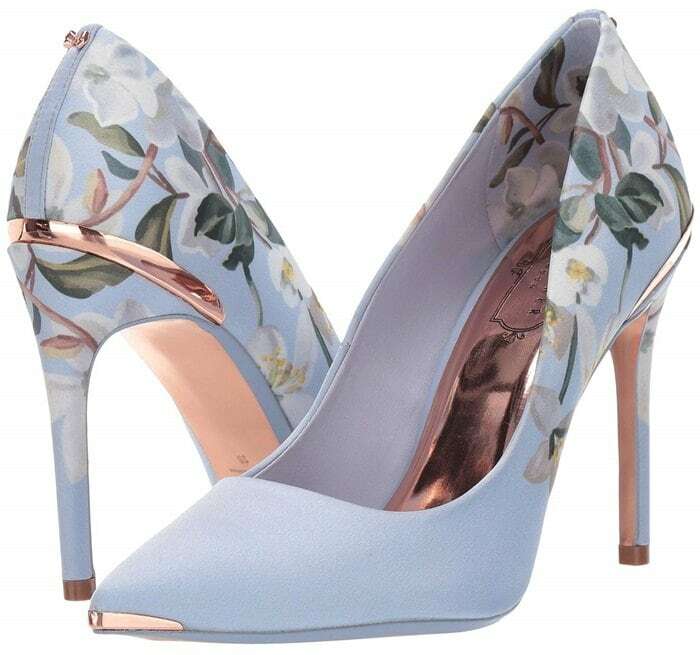 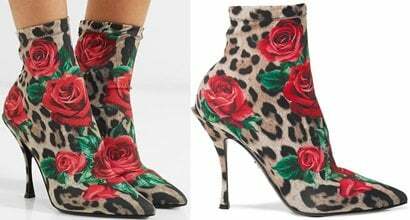 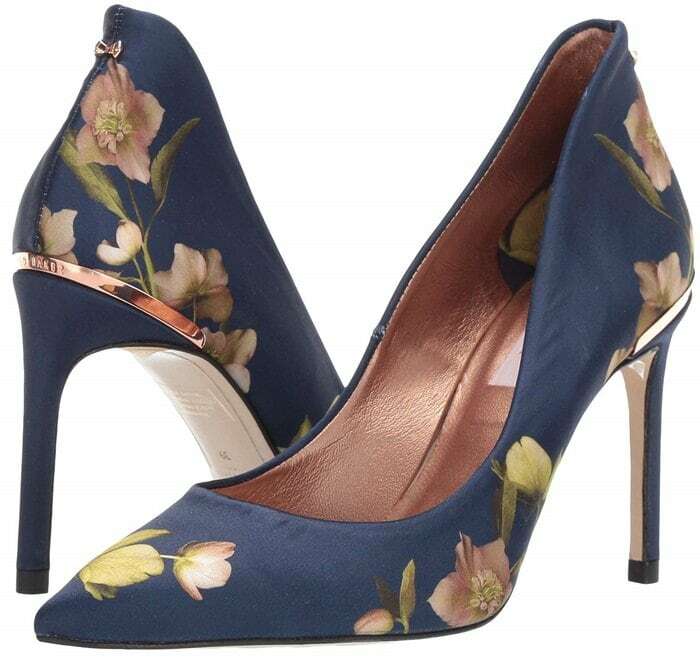 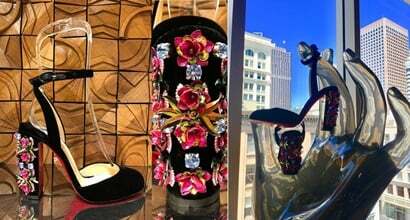 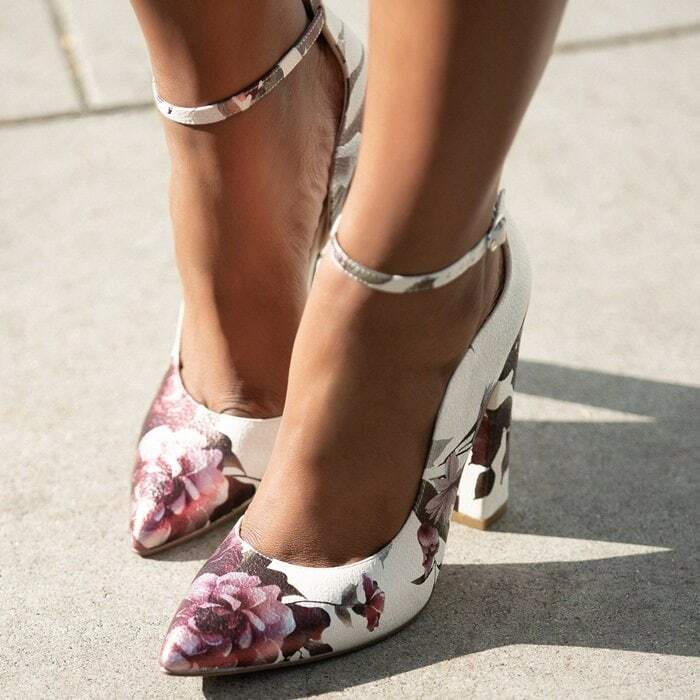 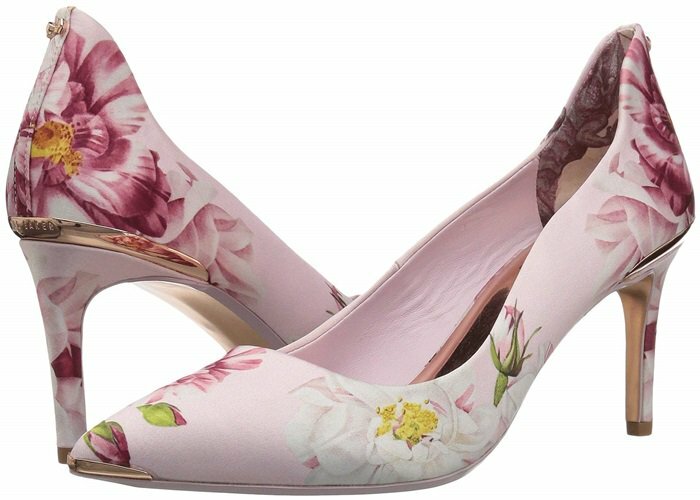 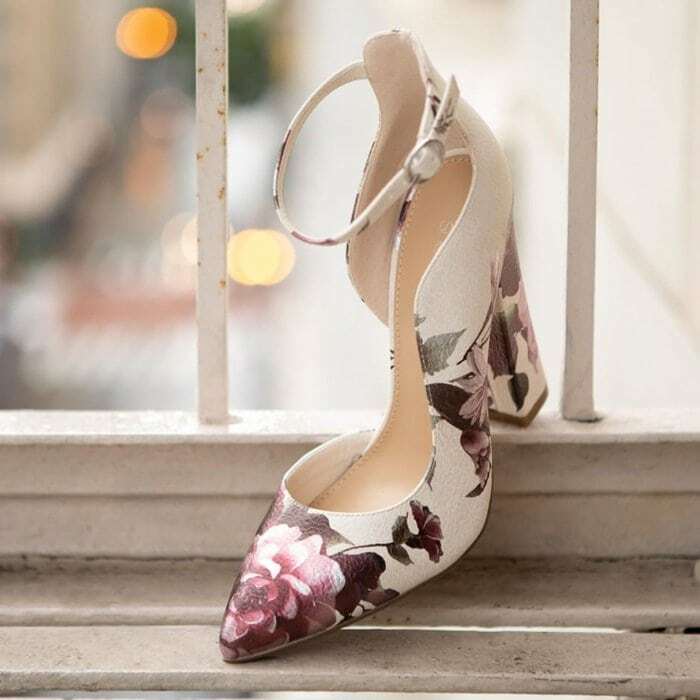 We love floral heels, sandals, and sneakers for warmer weather, so we put together a few of our favorite floral shoes for our fellow shoe lovers to enjoy. 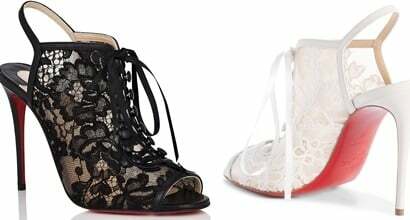 Embellished shoes like any of these are ideal for adding to a basic tank dress or shorts and a t-shirt. 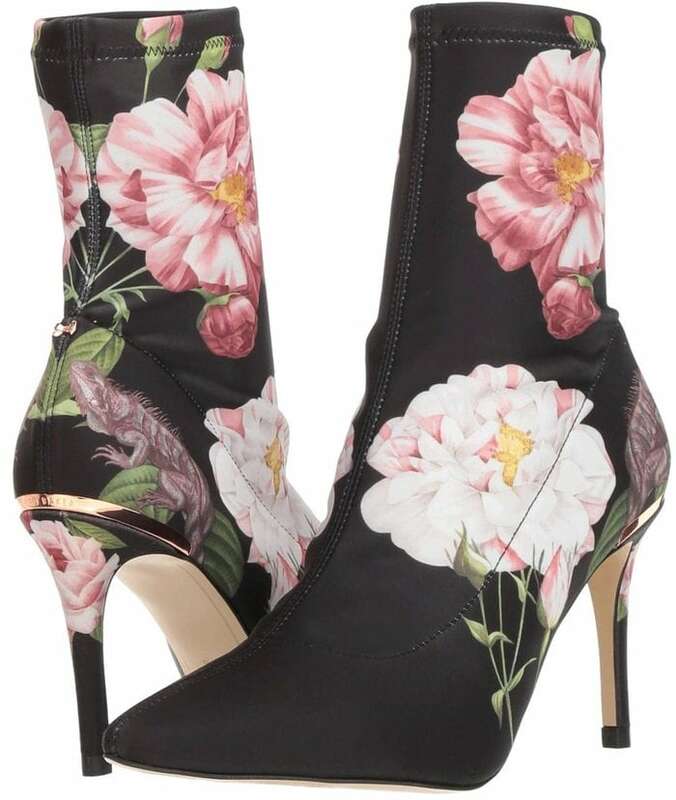 You could even wear them with jeans and a sheer sweater for cooler days and evenings. 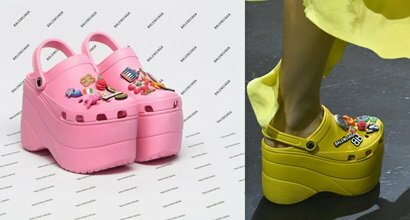 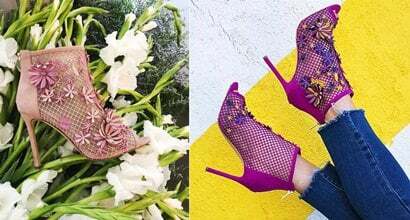 Check out these fashion bloggers for outfit ideas or scroll down to see what celebrities wear with their floral print shoes! 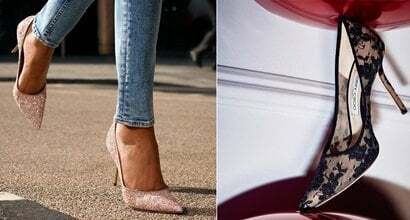 This pointed toe block heel pump from Kim Kardashian’s shoe club features a curved topline and adjustable ankle strap buckle.